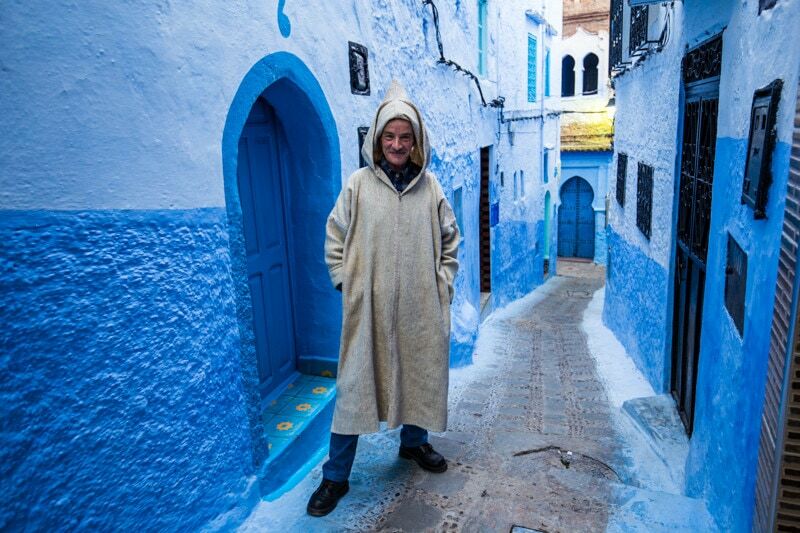 As you all likely know, Jeff Bartlett and I ran one of our travel photography workshops in Morocco last month. The trip was an absolute blast, and a perfect adventure. We had an awesome group, and got lucky with weather most of the way along the way. Of course, like any bit of travel, it wasn’t without its fair share of unexpected events. For example, when in the Sahara Desert we got hit with a massive sand storm, which was wild and left us with countless stories. 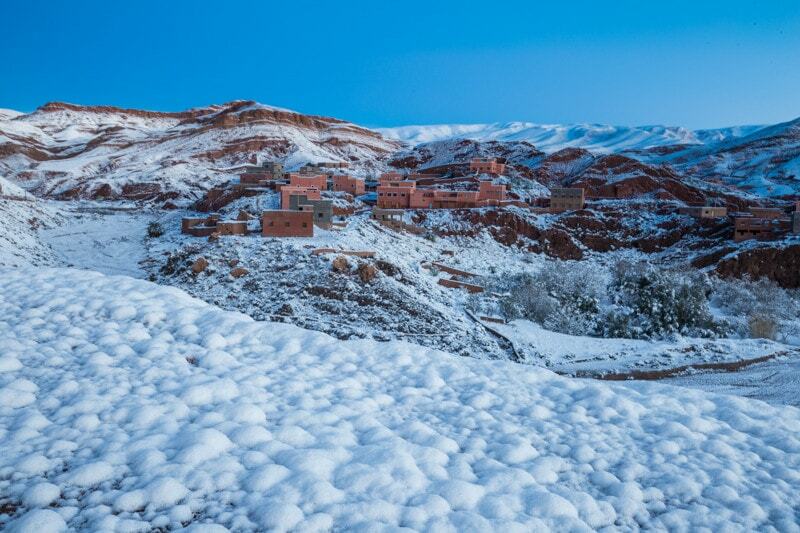 And then, in the Dades Gorge we got hit by an overnight blizzard which left the valley covered in snow, and shut down the pass across the High Atlas Mountains. But, it’s these unexpected adventures that make travel so much fun. This is where the stories come from, and often the coolest photos. Before I get into the location-to-location recap from Morocco, I want to remind you that we’re booking our next photography adventure which will be a workshop and tour in Cuba! This trip is filling fast, so if you’re interested, please let us know as soon as possible. Instead of go in depth into each destination, I just thought I’d share some of the images and quick anecdotes from each location. This should serve to show a bit what you’d be getting into if you join one of our future trips to Morocco. 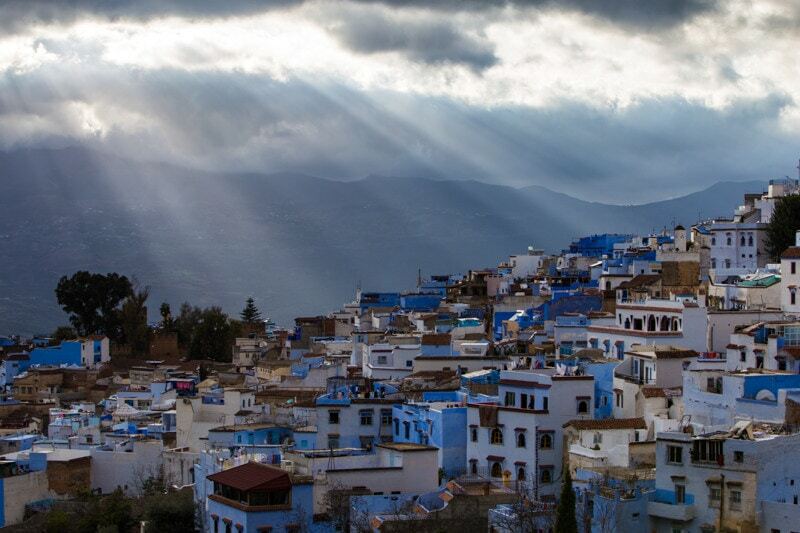 As of right now, the plan is to re-visit Morocco in a couple years. It is just such a great destination, and so diverse in what it has to offer. 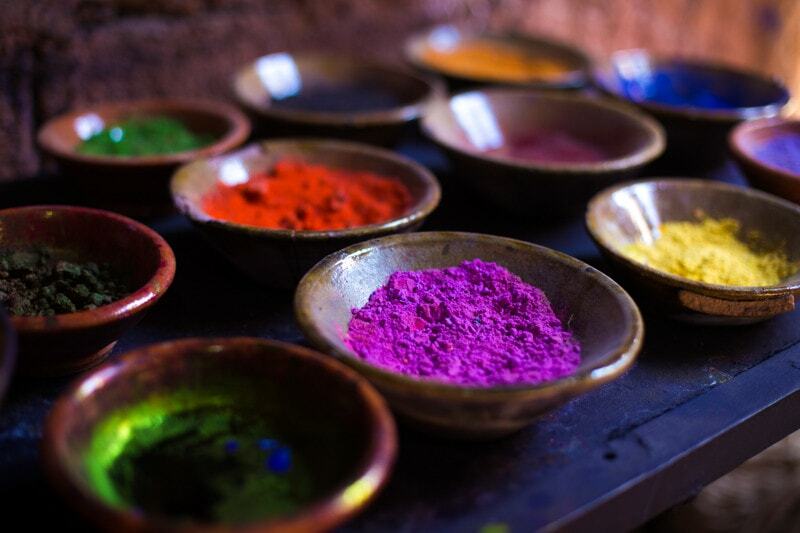 We started, and ended, this travel photography workshop in Marrakesh. 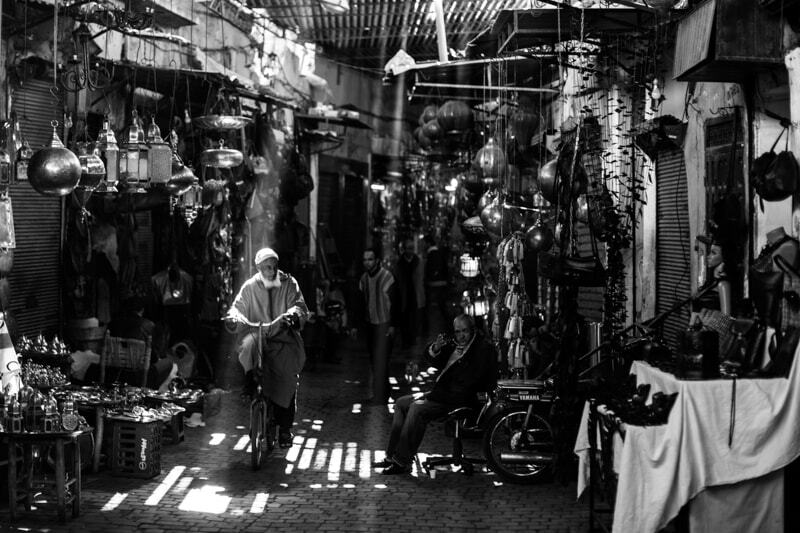 Street life in the Marrakesh Medina. On our way to Chefchaoeun we made stops in Casablanca and Rabat. 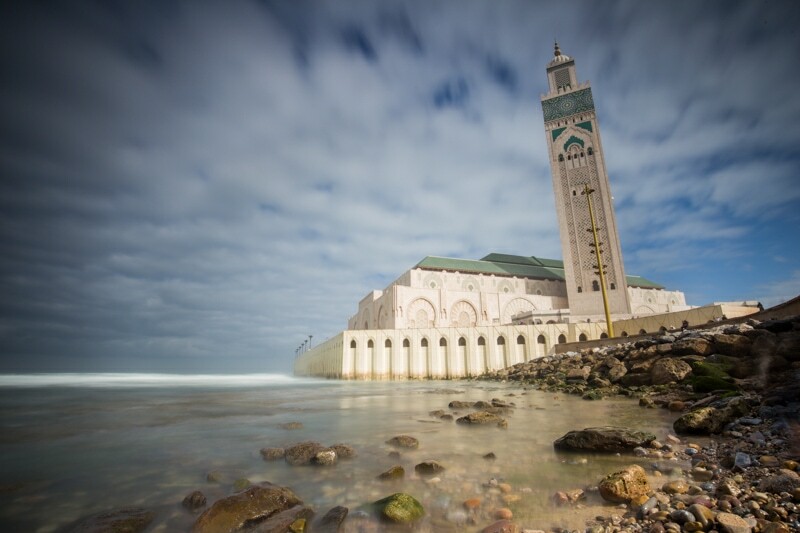 In Casablanca, we visited the Hassan II Mosque which is perhaps the most impressive piece of architecture in the country. It’s also one of the few mosques in Morocco which allows non-Muslim tourists to enter on a tour. 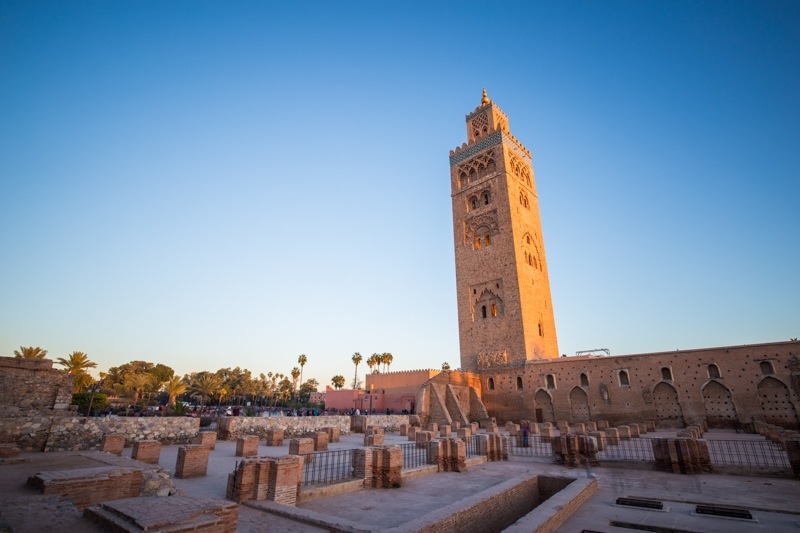 From Casablanca, we pushed on to the capital city of Rabat where we visited some palaces and mausoleums. 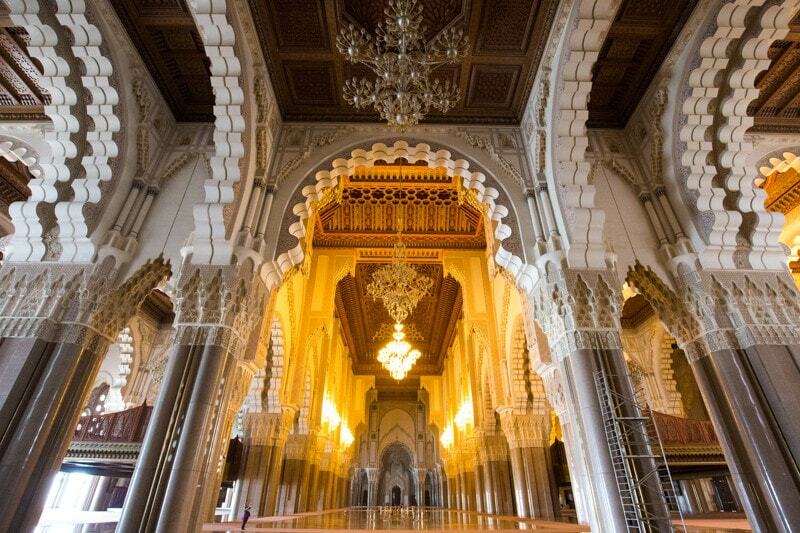 The interior of Hassan II Mosque. Chef is one of my favourite destinations in Morocco. It’s just fascinating to me. The “blue city” is just that; it’s blue. 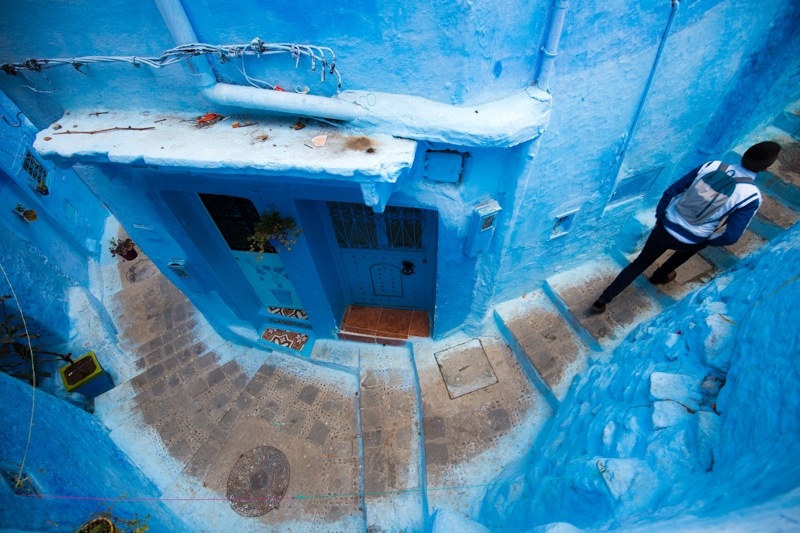 Nearly, every corner of the city is covered in blue paint. And, the soft rock buildings make the city feel ancient. It’s obviously a pretty unique destination. The lack of cars and plethora of beautiful alleys, makes Chef a great place to wander and shoot photography. The overview above the city, too, makes for a wonderful place to shoot imagery. A local man poses for a photo. Light rays over the Blue City. 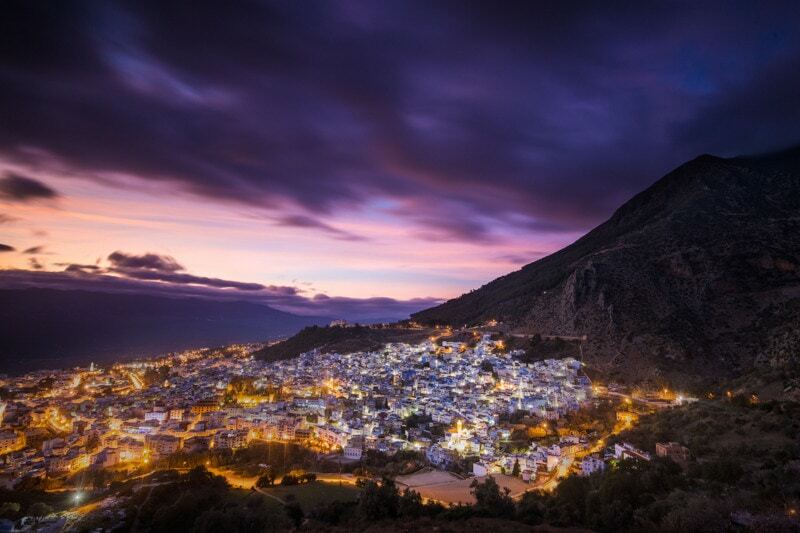 The view of Chefchaouen from the Spanish Mosque. Love the Chef street scenes. 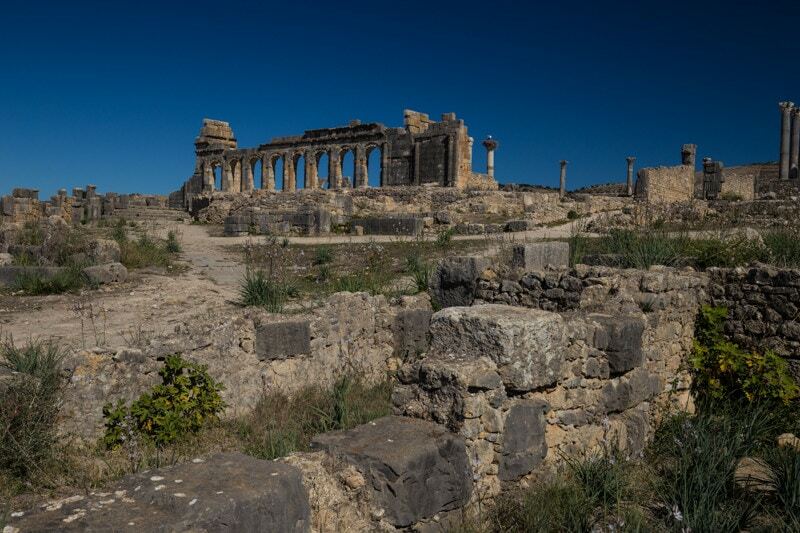 On our way to Fes, we made a quick stop in Volubilis, which is an impressive Roman ruin. After spending an hour or so wandering around, we pushed on to one of the old capitals of Morocco, which is the city of Meknes. Personally, I think Meknes is one of the most underrated cities in the country. It has, perhaps, the most impressive city walls anywhere in Morocco. 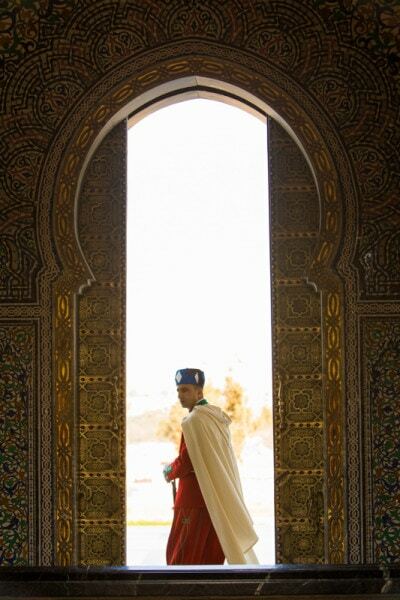 Inside a royal tomb in Meknes. 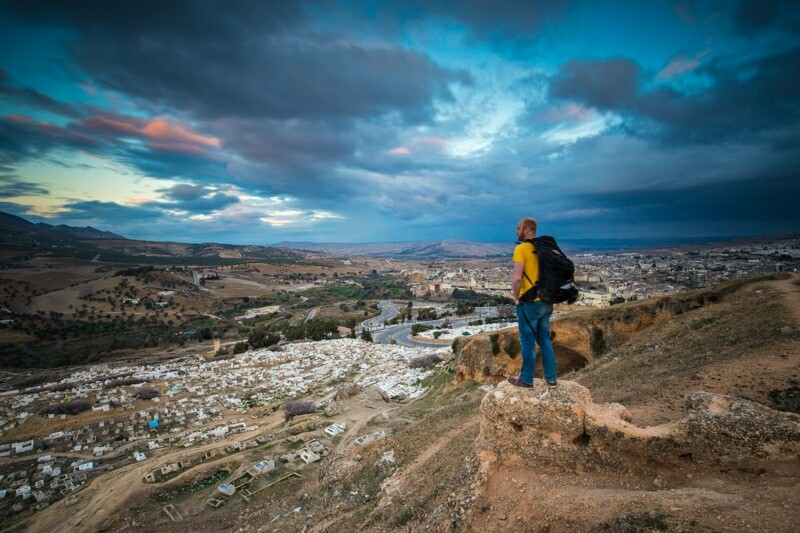 The city of Fes is a bit of an overwhelming experience. The medina (old town) is absolutely massive and quite chaotic. 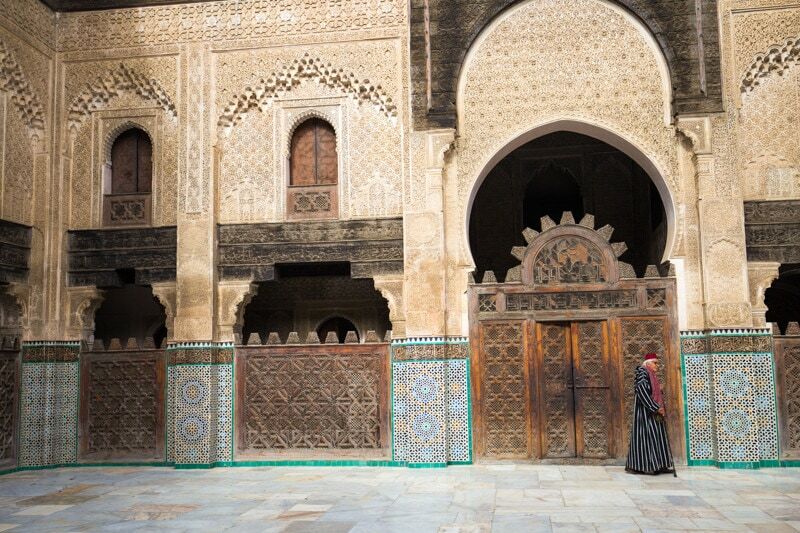 It would be nearly impossible to not get lost in the medina, and really, that’s part of the fun. On our first day in the city, we wandered around the old town and shot some street photography. Then, we went up to an overview above the city for sunset. On the second day in the city, participants were free to explore on their own, or Jeff and I ran some classroom sessions and gave some one-on-one help with things like photo editing. 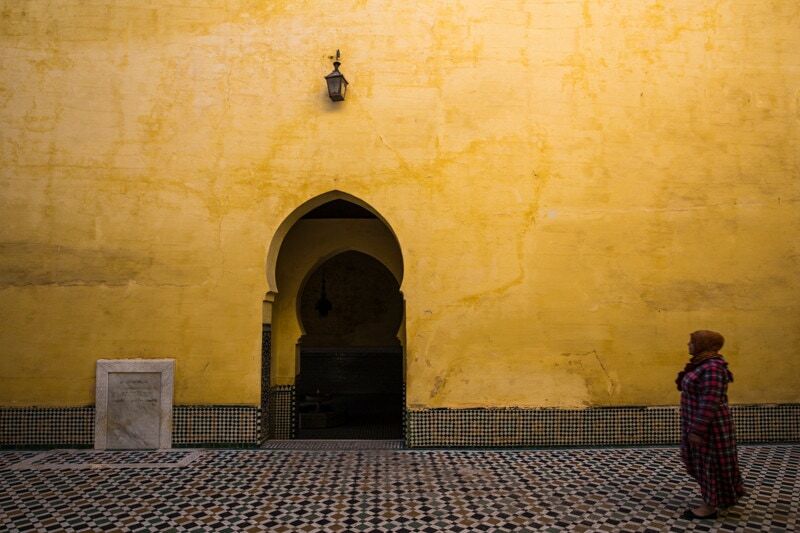 The architecture of Fes is impressive once you get beyond the streets and into the buildings. 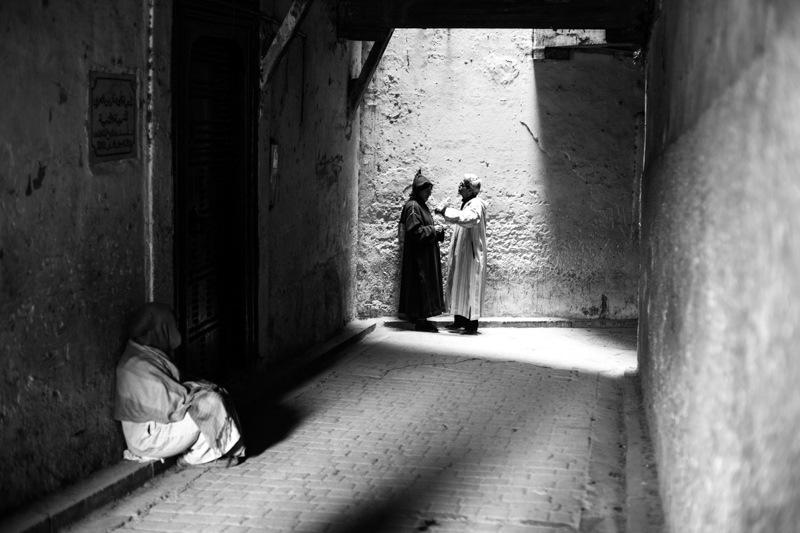 Street Scene in the Medina. 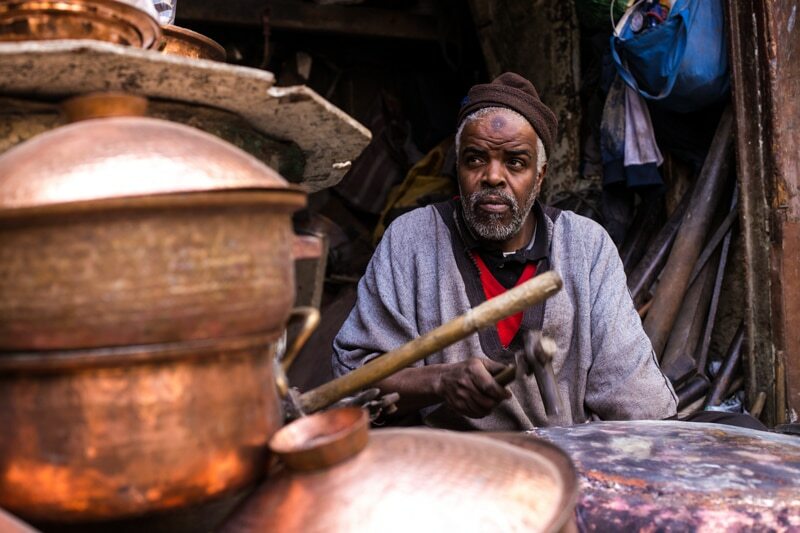 Metal workers in the medina. Self-portrait above the cemetery in Fes. 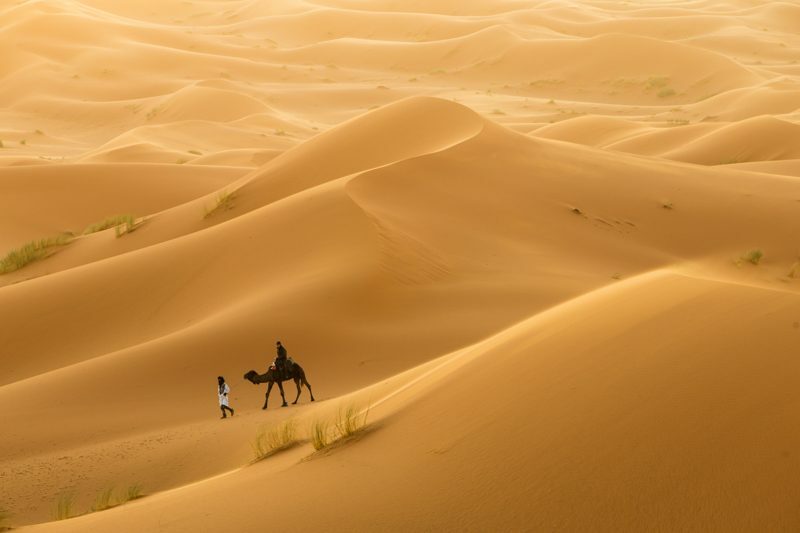 Our trip to the Sahara Desert was wild. After spending a night in a hotel on the edge of the dunes, we endured a massive sand storm the next day. Then, when we thought it was all over we headed into the dunes 2 hours on camelback to a desert camp. 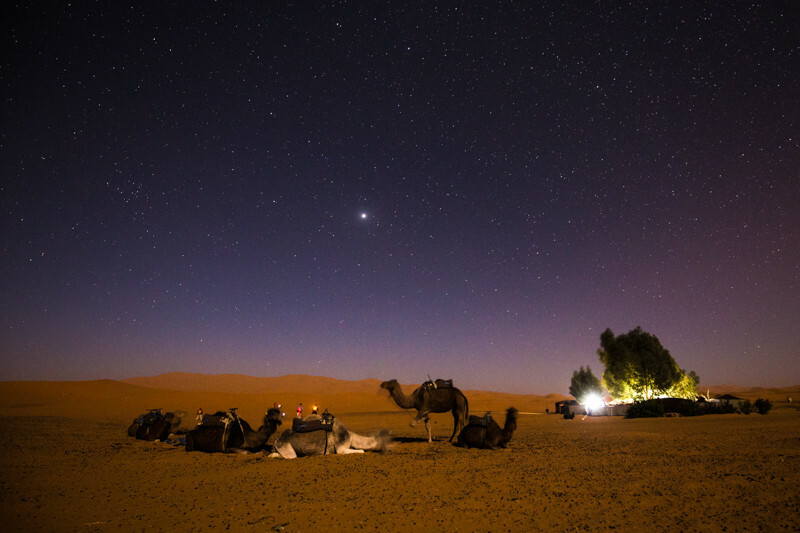 There, we shot the dunes, and did some star photography. That night, though, the sand storm returned and we were absolutely battered by winds. The winds were so strong that it actually knocked down a tree at our oasis. It’s definitely a night that none of us will forget. A story to tell for years to come! Wandering into the desert on camel-back. 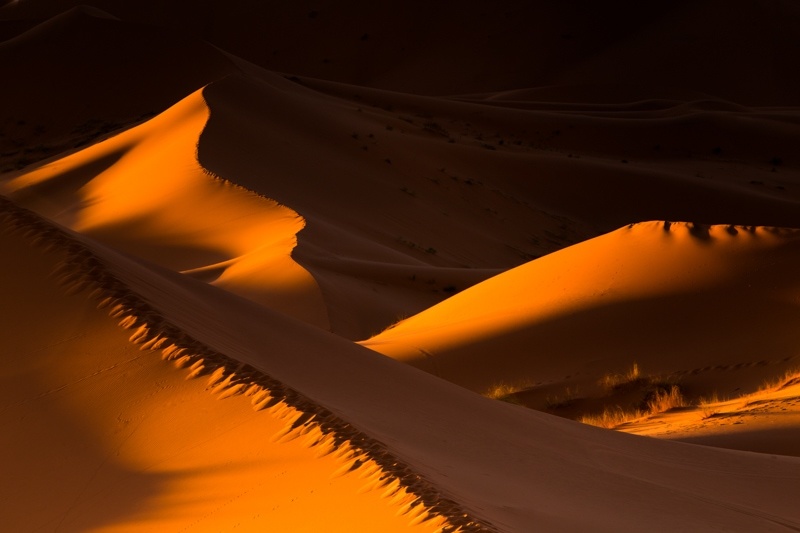 Sunrise on the dunes is a special affair. 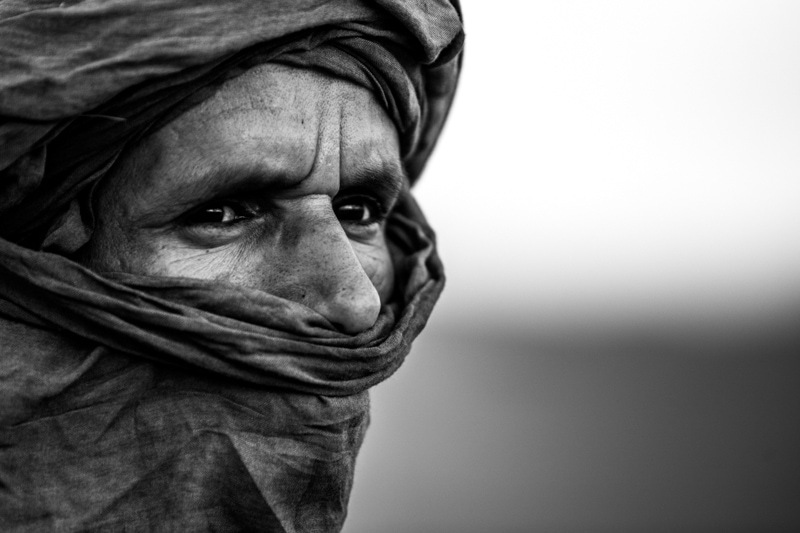 A local man poses for a portrait in the desert. A camel and its guide. 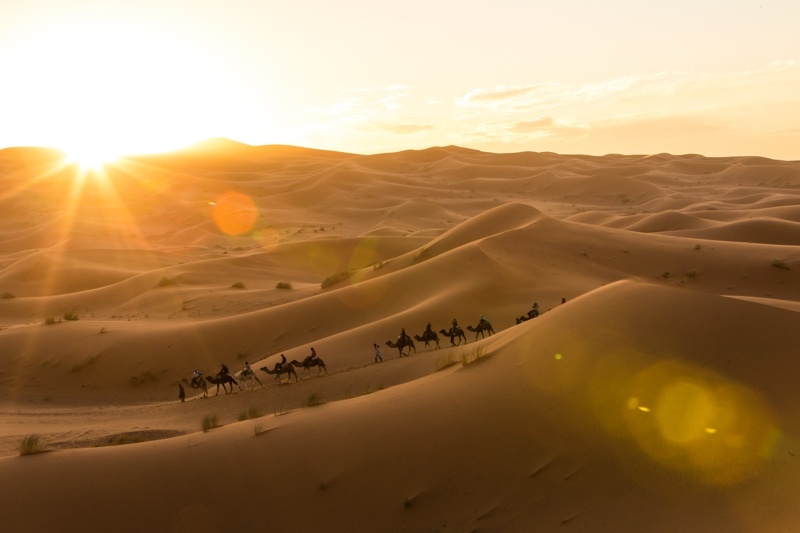 A caravan of tourists heading out of the desert. 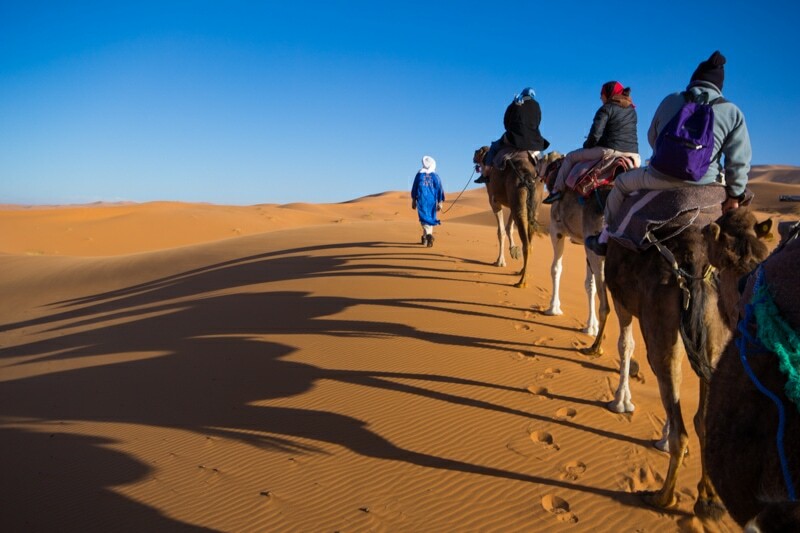 Leaving the Sahara, we started making our way back towards Marrakesh. 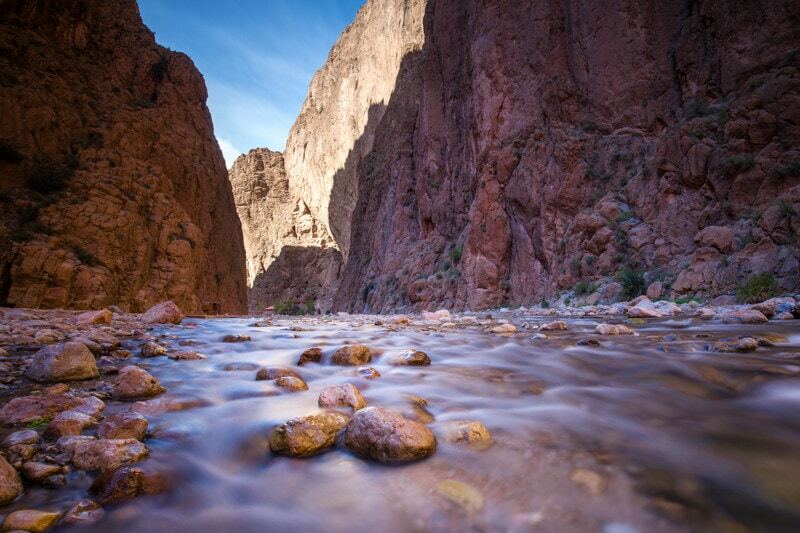 Our first stop on the way was a place called Todra Gorge. The gorge is one of the most beautiful places in the country. It’s not the easiest place in the world for photography, but a fun place to play around with some advanced photography techniques. Our last stop before Marrakesh was the Dades Gorge and Ait Ben Haddou. 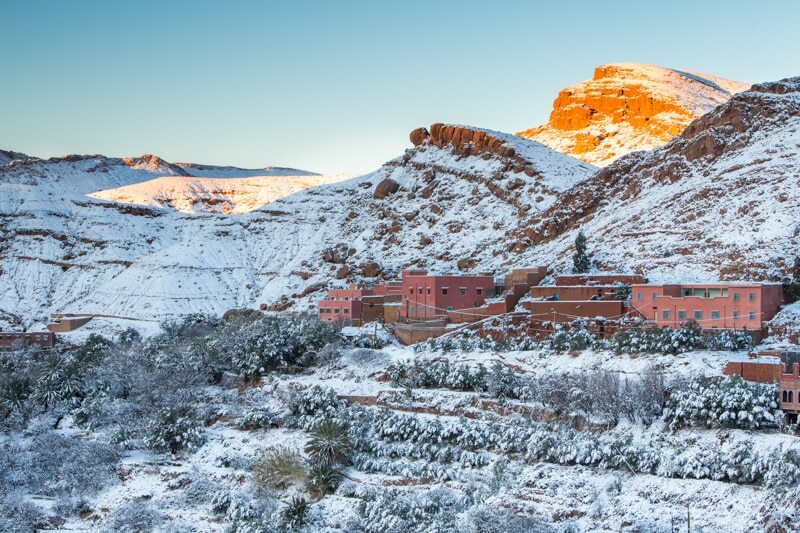 To our surprise, we were hit by a blizzard overnight at the Dades Gorge and awoke to amazing conditions of fresh snow (an extreme rarity) in the valley. The snow storm actually closed the pass across the High Atlas Mountains, so we were a bit concerned we wouldn’t be able to get back to Marrakesh in time for our flights. 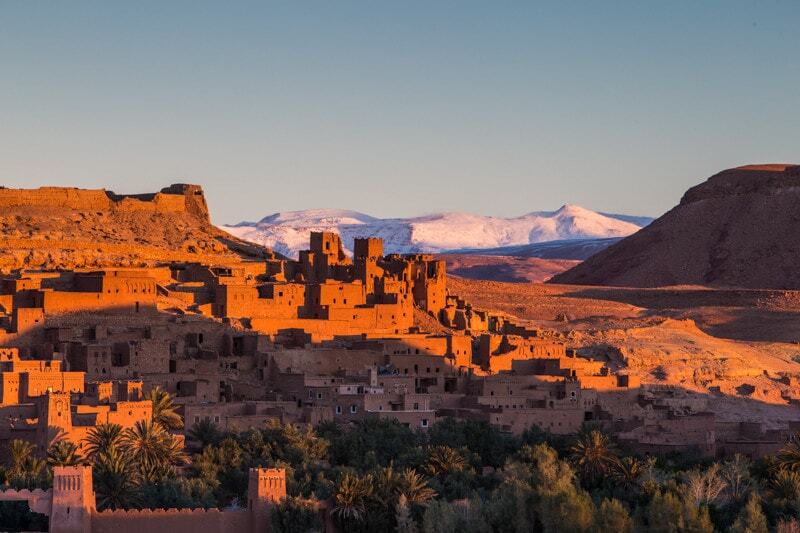 But, after spending a night at Ait Ben Haddou – where movies like The Gladiator and Laurence of Arabia were filmed – the road re-opened and our drive over the High Atlas Mountains was absolutely incredible, and we arrived back in Marrakesh on time. 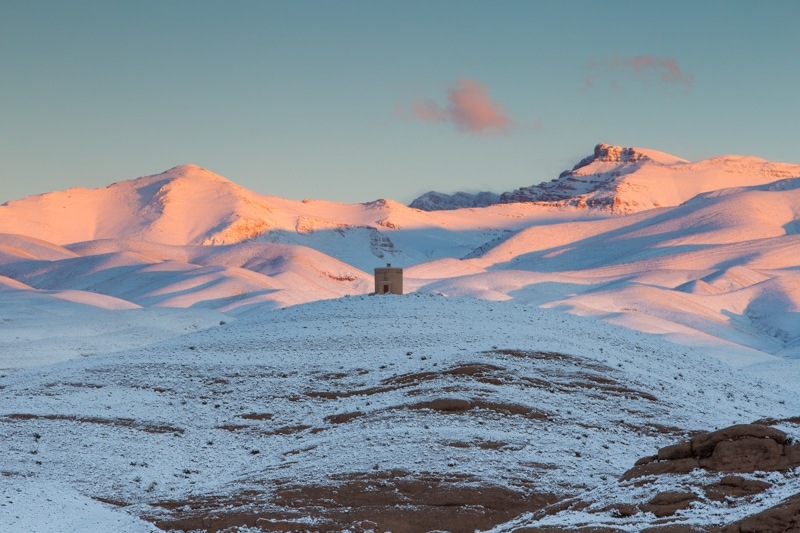 Sunrise and snow in Dades Gorge. Morning light hits the High Atlas Mountains. Things are going to be changing on the blog a little bit in the days to come. I’ve been considering a bit change for quite some time, and decided that I’m ready to make that happen. I’ll have a travel photography guide to Cinque Terre, Italy next, and then I’ll have an announcement of the change. It’s going to be fun, I promise.